Finding a good quality equipment has become immensely difficult in this extensive variety of fitness products. If you go back in 2013, this thing was kind of a bit different because of limited variety in barbells and bumper plates. The only options that were considered mostly were of Fringe sport and Rogue Fitness. If you compare these two brands, Fringe Sports consisted of less options and fewer sized products as compare to today. Having a discount on one of their barbell, I decided to contact them and purchase it, which was a very genuine One Fit Wonder Barbell. Though, the bearing and specification were a bit of compromised but with respect to their budget, they were performing really well. 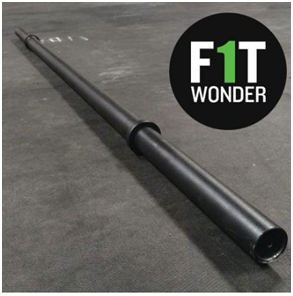 The barbell which I’m talking about is the axlebar also known as the fat bar by One Fit Wonder. The specialty of this barbell is its powerful grip and high intensity training that made the barbell unique than many others. Along with that, there were extensive features and benefits they aren’t to be compromised. The bar has a weight of 20 kg which can withstand weight set of up to 1000 pounds. The material used in the construction of this barbell was pure steel, which was powder coated with matte black finish. The length of the barbell is seven feet with a standard diameter of two inches. In the package of this barbell, the spring lock collars are not included, though you can add them at the time of purchase. 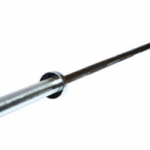 The barbell comes with one year manufacturer warranty with a return back free policy. The fat bar by one fit wonder is specifically for strength training by giving the most comfortable grip available in powerlifting barbells. The bar consist of beefy thick shaft which plays an important role on making your forearms and biceps. 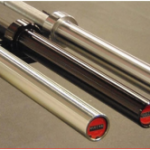 The weight of the bar is 44 pounds which has the ability to withstand weight up to 1000 pounds. These numbers are pretty massive as by looking towards bar weight you can’t really expect that much weight capability. The bar is seven foot long with a standard two inch diameter that can fit every Olympic weight plate. 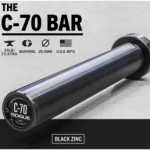 There might be a matter of concern for the ones who are purchasing this barbell and with its name ‘The Fat bar’ they get confused, actually the bar is made different only through its shaft and grip. 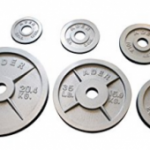 The loading unloading part as known as sleeves, are kept standard just like other weight lifting barbells. The main purpose of fat bar is to provide a good pulling motion on exercises which are basically done to increase overall body strength. Exercises, such as deadlifts, curl and row requires a weight pull back which is essential to have in order to make your workout worthy. 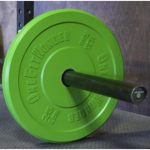 With the fat bar you will provided with a grip having a thickness of two inches which mostly does not fit everyone’s hands, so this barbell is pretty much recommended for professionals especially. What makes this barbell simply outstanding from the rest, is its extensive work force and strength required to pull the barbell. With a grip that doesn’t really fits in your hand make this process a bit tough, but when it comes to fitness lovers, at time he will also get used to it. There is one other things that makes this fat bar difficult to handle is no rotation of collars, which is an essential element on performing curls and exercises that requires ground to shoulder or ground to head motion. You have to get used to it without the collars and have to start certainly with no or light weight. This bar is not recommended for squats because of its smooth and zero knurl grip that may provide injuries if not settled on back easily. 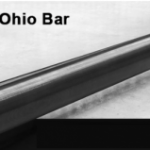 The bar have a weight of 20 kg which can withstand weight set of up to 1000 pounds. The material used in the construction of this barbell is pure steel. The barbell is powder coated with matte black finish. There is no knurling done on the shaft as it is a fat bar. The length of the barbell is seven feet with a standard diameter of two inches. In the package of this barbell, the spring lock collars are not included. 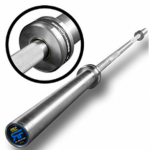 The barbell comes with one year manufacturer warranty with a return back free policy. In my opinion, the fat bar by One Fit Wonder is the special type of barbell that comes with no knurling and a comparatively grip then most of standard bars. This barbell is used by professional weightlifters to let them gain focus on exercises which requires pull back motion such as, deadlifts, bench press and rows. When I purchased this barbell for myself, it had a very budget friendly price tag even less than most of standard barbell out there. The barbell came in a good packaging and no shipping cost was charged. When I opened the package, there was a smell of that black zinc powder coat which eventually got fade away after I left upon on my roof. Though, the design and look of the barbell was simply eye-warming which looked very fresh. I decided to train with this barbell in a certainly no or less weight. It is because I wasn’t used to perform exercise with a bar having no knurl and thicker grip. It was very difficult to deadlift and bench press with this barbell, it require greater strength and motion to pull back the shaft. After using this barbell for around one month, I was able to get a proper grip and motion. My hand used to fit on the barbell quite easily. One drawback I faced, is no movement of brass bushings which made it difficult to perform bicep curls. Overall, it was a quite affordable and decent purchase. Powdered coated matte finish prevents the bar from getting rust and gives an eye warming look and feel. The bar comes in good packaging and shipping cost is included on price tag, making it quite affordable. Best for doing thick grip training. The sleeves dimensions are kept standard which can accommodate two inch weight plate quite easily. Comes with one year manufacturer warranty. The collars of the bar do not rotate, which is bad while performing bicep curls. Very difficult to adjust at the start because of knurling and a thick grip. 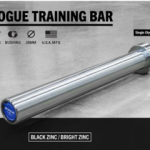 Not recommended for beginners as this bar require more focus and strength to workout.